Each one of these tracks can encompass a multitude of events, and there will be overlap between tracks. Sometimes a particular movie franchise, TV show, or internet craze grows beyond its humble beginnings, and becomes so much more. This is what we call a fandom. Who is the fandom track geared towards? The Film track highlights some of the best of traditionally produced Television and Movies. With this track, it is our goal to bring you the very best from industry experts to fan content created around this traditional medium. Who is the film track geared towards? Fans of popular Television and Movie productions. Film Students, or those interested in the industry. 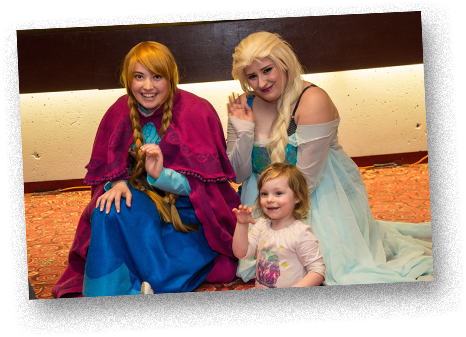 Although the term 'cosplay' was originally coined for fans of Anime who would dress up to express their favorite character or idea, cosplay has grown into a phenomenon at conventions worldwide. 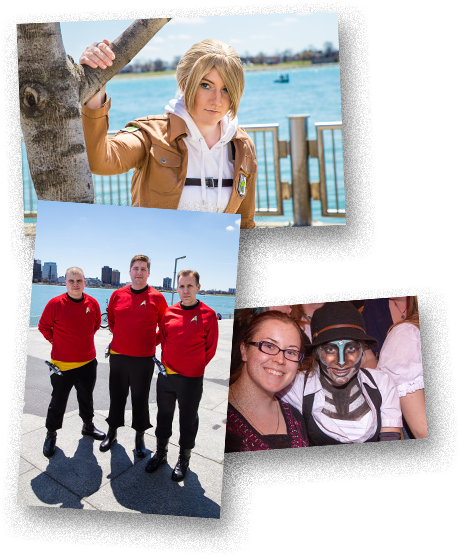 Cosplay is a large part of the convention experience at both Youmacon and the Midwest Media Expo, however this track is designed for those who want to take it to the next level. 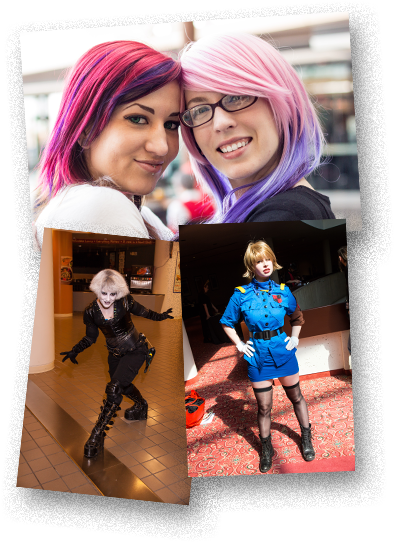 Who is the cosplay track geared towards? Although fans of Comics could be considered a part of the Fandom track, we feel that the wide array of characters, stories, and histories weaved through the world of comic books deserve something special. Through this track, we hope to provide you with artists, writers, and those experienced with the industry and it's expansion into other medias. Who is the comic track geared towards? 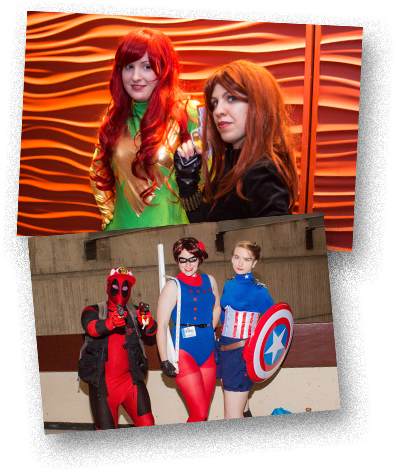 The comics track at Midwest Media Expo is geared to those passionate fans and true believers of the comic book world. Our favorite characters such as Batman, Superman, Iron Man, and Captain America may be taking over movies, tv, and cartoons, but we know there is so much more out there. Modern Games range in scale from successful independent efforts such as Minecraft, League of Legends, Limbo, Braid, and Fez, to multimillion dollar franchises such as Assassin's Creed, Mass Effect, Portal, Halo, The Legend of Zelda, Battlefield, and Call of Duty. 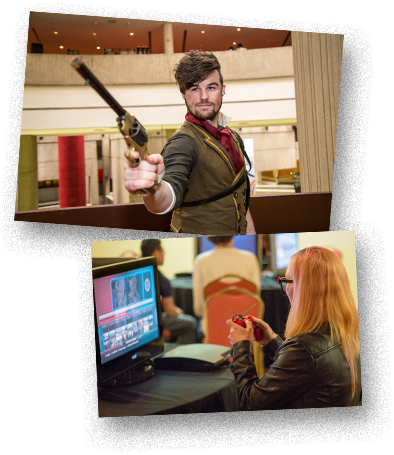 The Midwest Media Expo will continue the Youmacon tradition of bringing a top-notch free-to-play video game room for our attendees to enjoy, but we will also have a significant focus on video gaming culture in our programming as well. Who is the video game track geared towards? Sometimes you just want to sit down and enjoy the company of a friend... before obliterating their army of 1/1 zombies with two mana and a rare card they weren’t expecting. Well then, the Tabletop Gaming track at the Midwest Media Expo is for you. 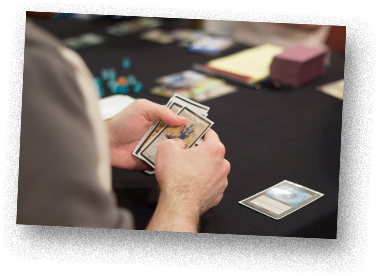 Pencil and paper roleplaying games that challenge your imagination, board games which challenge your strategic mind, and card games which test your luck are all included under this track. Who is the tabletop gaming track geared towards?